Hi all! 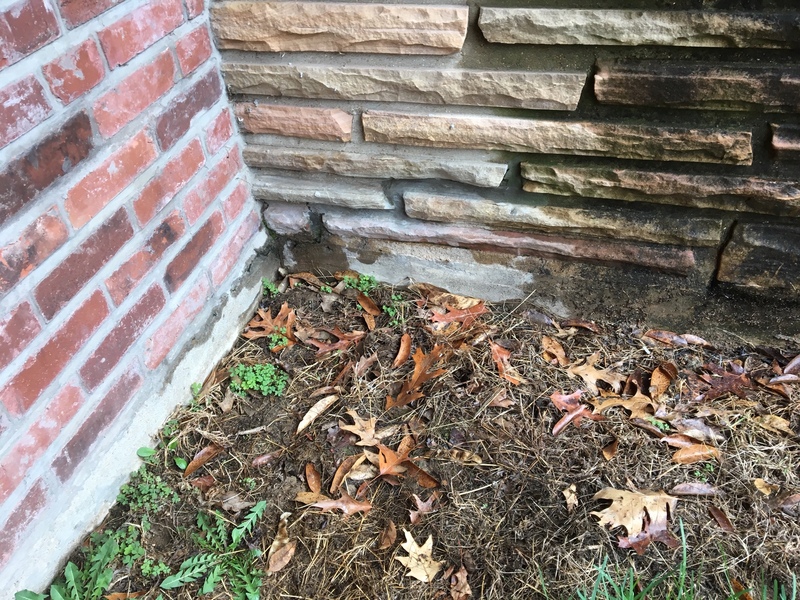 Looking for some advice on a water issue we are having with our exterior chimney. 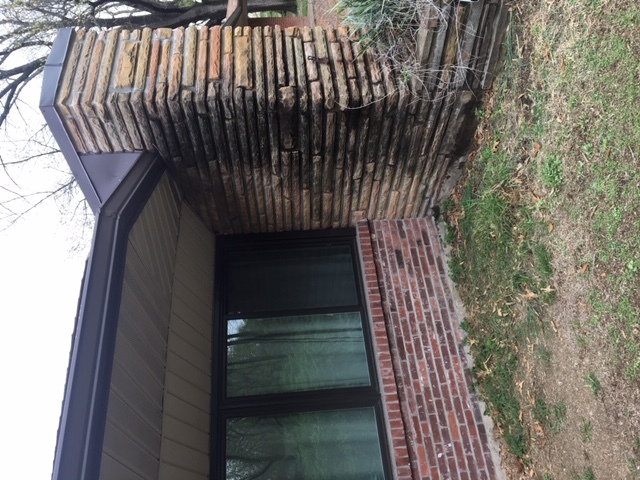 We have a large exterior stone chimney on a 1950s ranch house which joins on one side into the brick exterior wall. We are getting moisture coming up through the slab in the room that is directly interior to the chimney area. (I assuming based upon the way the moisture moves down to the slab it is getting under the slab and wicking up?) The pictures I attached were taken the last time it rained, and this occurs every time there is rain. (Left is brick of house, right side is chimney). A large portion of the chimney is under the eaves of the roof, but the moisture "travels" along the stones much farther towards the house. 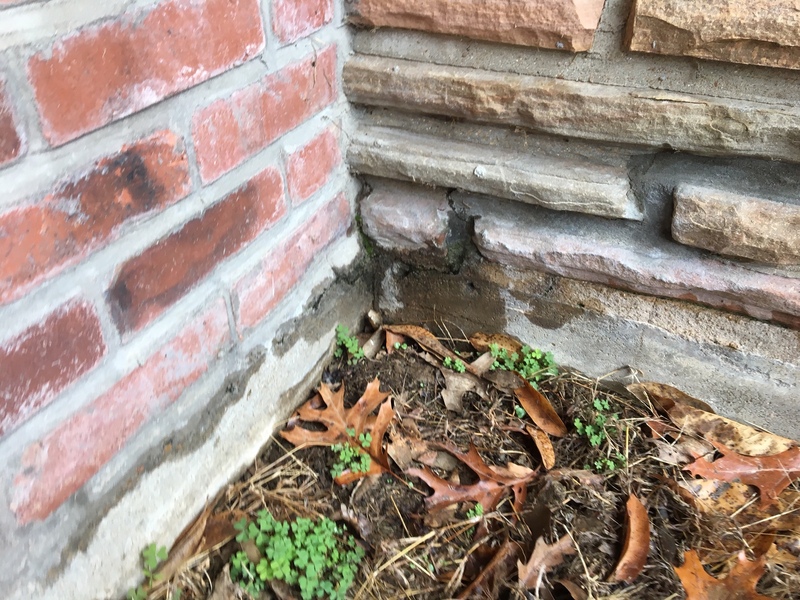 I can call the local trusted masonry company to give an estimate, but not sure if that is the contractor of choice? Or is this more a foundation/slab issue where the concrete slab meets the soil? Any suggestions on next steps would be very helpful! Sorry for the delay. Waiting for some more rain to show what it looks like wet. See attached additional pictures. Thank you! Yeah. Gutter pitch isn't adequate and that needs a wall/chimney kick out detail on it.